As tickets are ridiculously expensive and I'm a poor, peasant student, our seats were towards the back of the theatre. However, the view was absolutely fine (if not a bit steep! ), so if you're not as willing to fork out £60+ for tickets, I would thoroughly recommend going for the cheaper band of tickets. Created by the makers of South Park, Trey Parker and Matt Stone, along with the help of Avenue Q composer Robert Lopez, The Book of Mormon is a show which adopts a very dry (slightly offensive) sense of humour; if you're a fan of the adult cartoon or rude musical Avenue Q then you will absolutely LOVE this show. The music is witty, sharp and appeals to anyone with a silly sense of humour. With such toe-tapping pop tunes and hilarious lyrics, you'll come away with a plethora of inappropriate songs stuck in your head. There's innuendos a-plenty and controversial (yet lighthearted) commentary on a range of social topics, like faith, race and sexuality. While at times it might seem shocking, the jovial tone allows you to laugh along with the jokes. It is honestly the funniest show I have ever seen, and there's no production quite like it. The amazing cast, clever lyrics and jokes and unique story-line (in that it goes where no other show would probably dare to go) makes it an absolute must-see if you're in or around London. Stand-out songs are definitely 'Turn It Off', 'Scary Mormon Hell Dream' and 'I Believe'. Without a doubt, you need to go see The Book Of Mormon- there's a reason everyone raves about it so much! 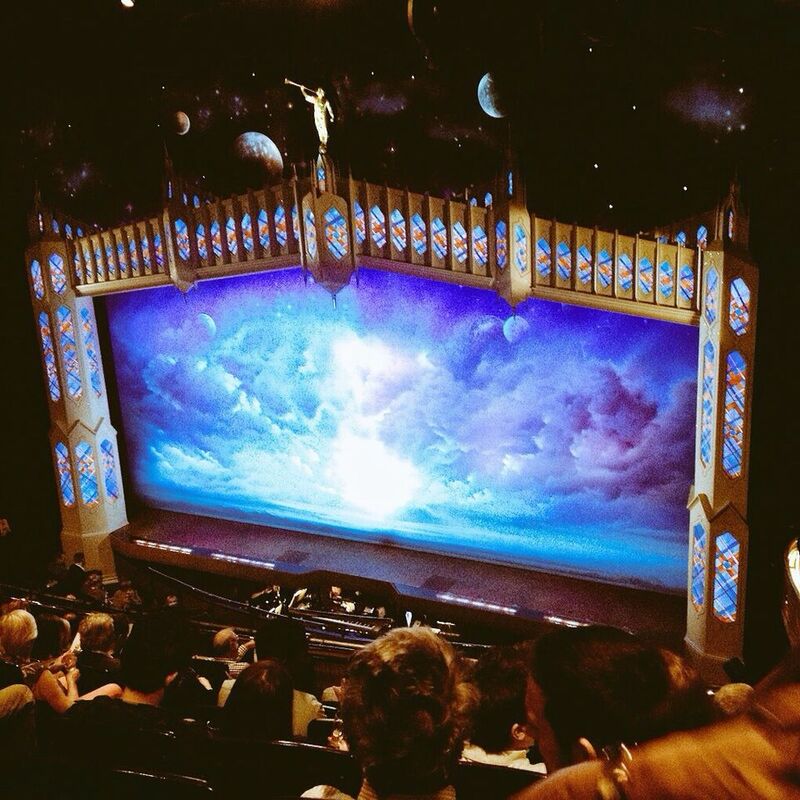 Have you been to see The Book Of Mormon? What's your favourite West End show? I'm not a fan of the theatre usually, but this definitely sounds like something I would be interested in seeing! SUCH a good show - I went to the previews a couple of years back and just adored it. Witty, irreverent and so clever. I also adore Matilda and Memphis, both of which are having stellar runs just now. Totally agree. I adore Matilda too, would love to go see it again!